It seems like this story has been written too many times in just sixteen short months since the year 2010 was rung in. We have spoken about earthquakes, tsunamis, oil explosions, and other tragedies. But then we always must turn our attention to the aftermath. The disaster itself is always more dramatic and attention grabbing than the true tragedy: the harm done to innocent people. Whether it is a natural disaster or a man made one, once the weather settles or the damage is done, the recovery phase kicks in and so does the pain. And that is exactly the case in the south. 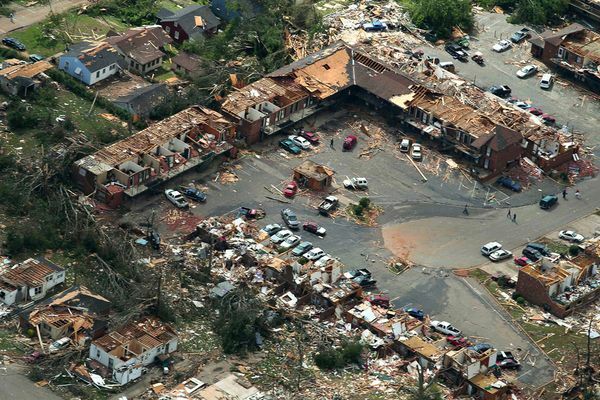 Centered in Alabama, a string of storms and tornados ran through the south, hitting six states, and taking just under three hundred innocent lives with them. As of Thursday, a total of 294 people have died as a result of the storms. In Alabama alone, 207 people have been reported missing. Tuscaloosa saw 38 people die. Search and rescue teams are still out looking for survivors and the death toll is feared to rise in the coming days. In addition, physical damage to property was high as a result of the natural disaster. Buildings that once housed families and offices and stores have been demolished. In areas where homes were not destroyed, a total of one million people saw their electricity sources get knocked out. Other states reported death counts as well. Mississippi had a death count of thirty-three, Tennessee reported thirty-four deaths, Georgia claimed that fifteen people lost their lives, five people died in Virginia, and one more was reported dead from the storms in Arkansas. Arkansas reported twelve more deaths from storms earlier this week. Now search and rescues teams are going through the south trying to find as many survivors as they can. Survivors are now taking a look around and seeing what they have lost, both materially and emotionally. People have lost their friends and family members. They have lost their homes and the places where they made so many memories. Once again, due to tragedy, another group of innocent people have had their lives swept away.